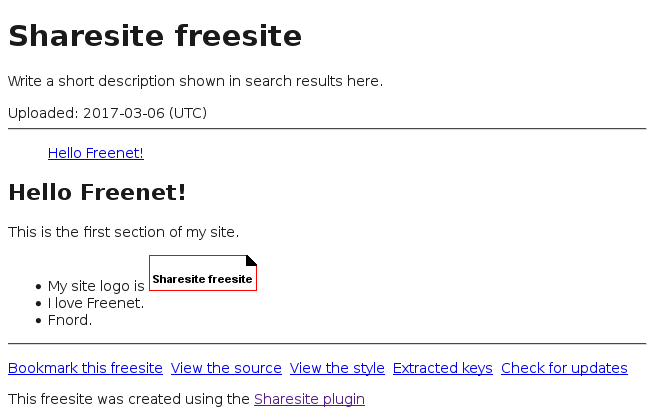 With build 1476, the Freenet Project introduces convenient privacy-preserving publishing by shipping the latest release of Sharesite, a tool for managing multiple single-page web sites within Freenet. Additional changes include better security against malicious image files, usability improvements and optimization. The Freenet Project team announced the newest version of its censorship prevention suite on March 8th 2017. This release provides easy, privacy-preserving publishing in the darknet without the need for a server. 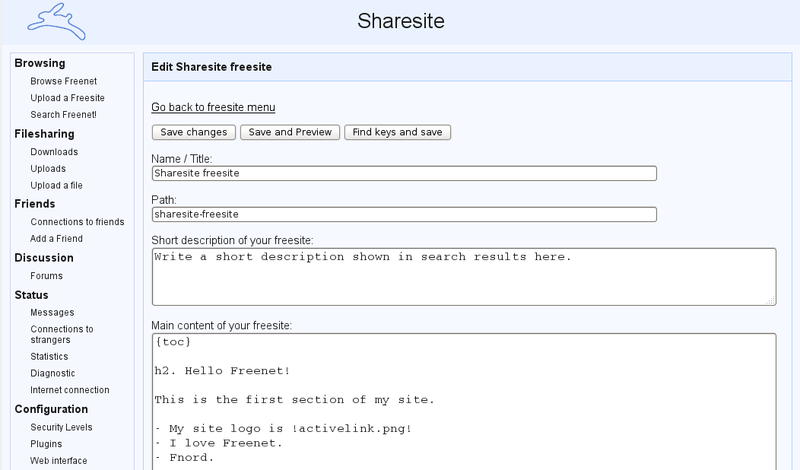 By loading the Sharesite plugin, users can publish multiple simple websites with just a few clicks. These sites get stored decentrally within Freenet so they stay available after the user goes offline. Like all other content in Freenet they can then be accessed anonymously and users can opt-in to receive a notification in the Freenet web interface when a website they watch gets updated. When accessing content Freenet provides many precautions against accidental de-anonymization. One of these features is protection against media files which could spill the users address or exploit security problems in browsers. This release tightens these protections for the common gif image files by detecting and removing potentially dangerous data in these files, for example comments which could be interpreted as instructions for the browser. The new release is available for Windows, OS X, and GNU/Linux. It can be downloaded for free from https://freenetproject.org. 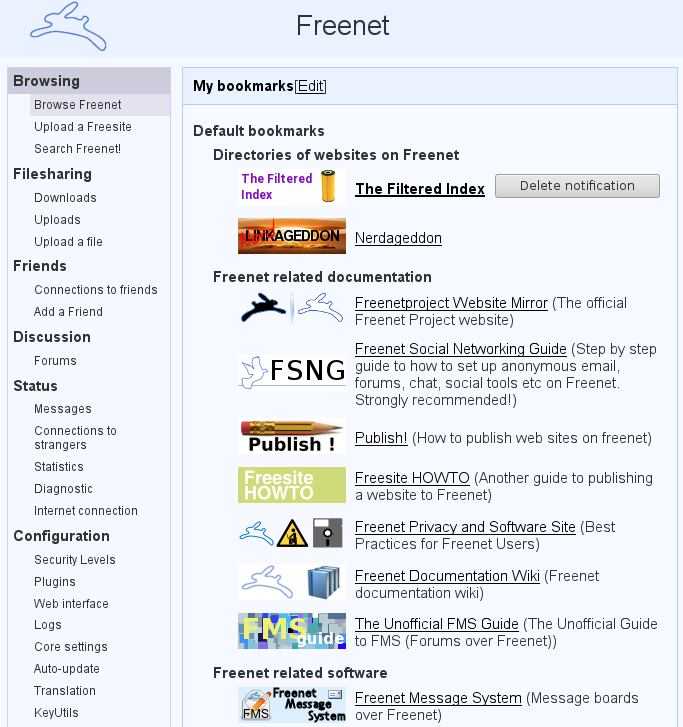 Freenet is free open source software and has been under constant development in the Freenet Project since 2000. The mission of Freenet is to realize the technical aspect of censorship resistance. Its unique set of features includes a decentralized, global friend-to-friend publishing structure (the darknet mode), access dependent content lifetime, decentralized spam resistance, stable pseudonyms, and hosting without a server.